30x24cm oil on canvas board, unframed. Painted a few days into the new year when the Christmas trees were still up in various buildings. 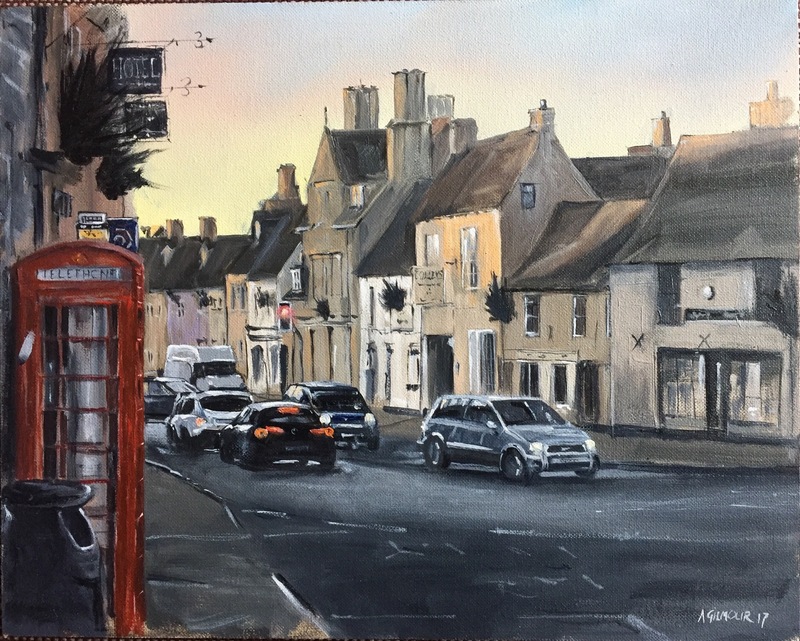 Features the same light as sister painting Winter Light Thames Street Lechlade 2017 but with a tinge of the on rushing sunset.